Today’s poem was originally published in Thrush and appears here today with permission from the poet. 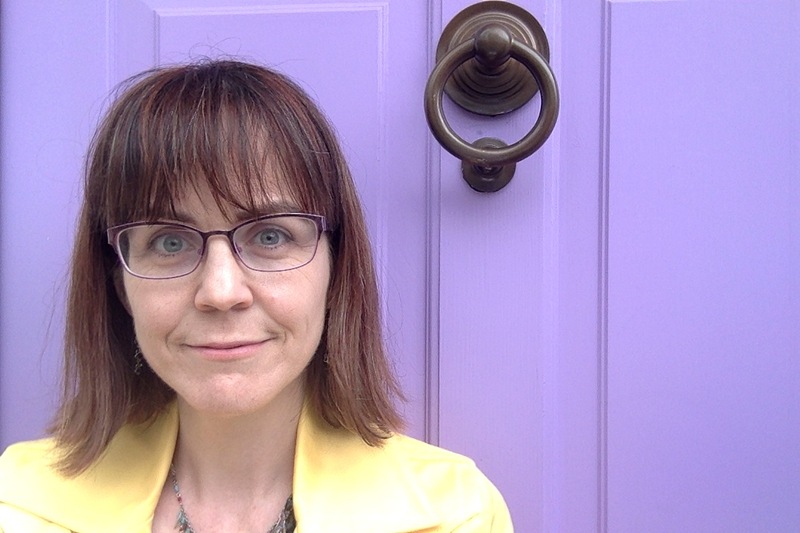 Sara Biggs Chaney received her Ph.D. in English in 2008 and currently teaches first-year and upper-level writing in Dartmouth’s Institute for Writing and Rhetoric. Her most recent chapbook, Ann Coulter’s Letter to the Young Poets, was released from dancing girl press in November, 2014. Sara’s poems have recently appeared or are forthcoming in RHINO, Sugar House Review, [PANK], Juked, and elsewhere. You can catch up with Sara at sarabiggschaney.com. Editor’s Note: Today’s poem, like the famous Walt Whitman quote, contains multitudes. Relaying an epic history in a few swift couplets, the interplay between referentiality and alliteration is as precise as it appears effortless. Discreet moments—brilliant vignettes—are carefully pieced together to reveal the story of a life: “The girl said: I am not skin, / but sackcloth;” “I will bear the shames / of a thousand men, // I will wear the hands / of a healer.” As readers, we are as transported by the world of the poem as we are transformed. Want more from Sara Biggs Chaney? This entry was posted in Sara Biggs Chaney, Saturday Poetry, Saturday Poetry Series and tagged American Poetry, Christianity, contemporary poetry, Midrashic Poetry, Narrative Poetry, Persona Poetry, Poetry, Poetry of Faith, poetry review, Religion, Religious Poetry, Spiritual Poetry. Bookmark the permalink. simply too heady for me ~~~ the inherent Christianity (?) alludes, revealing my ignorance. what it allows, however is appreciation of the couplet’d form.